This green is my favorite shade of green EVER (it even beats army green for me, which I never thought I’d say haha!). You’d think that green is quite common and there’d be plenty of clothing in this color, but somehow there are not! So when I saw this top on Asos I had to go for it. I always say that green is in my top 3 of favorite colors, but surprisingly I don’t own much clothing in green, in any shade, not just this particular one. I love the vibrancy of it and the overall ‘happy’ feel to it. 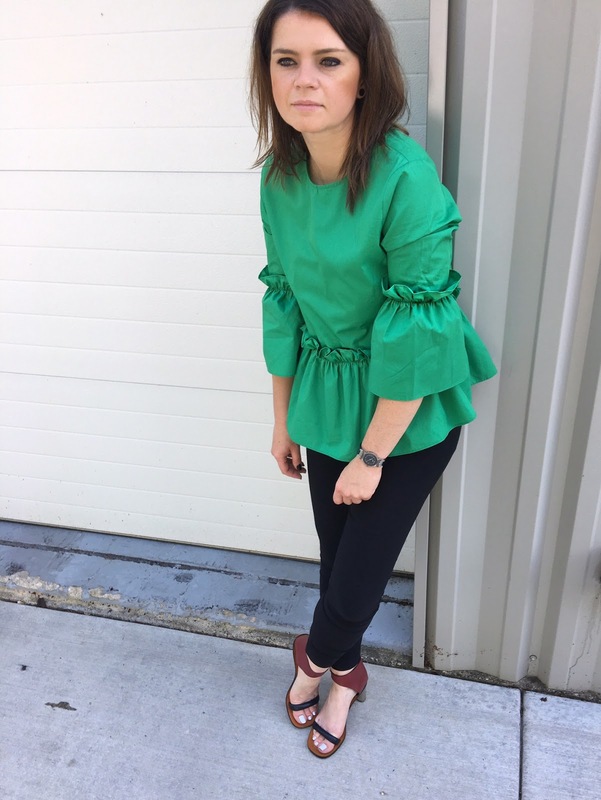 The ruffles and a peplum are a sweet addition that you can’t say no to, either! I hope you’re day has been great and as always thank you for visiting! Wearing: Asos top; Asos pants; Celine sandals (almost identical ones here and on major sale! ); Swatch watch.